ID Analytics is a leader in consumer risk management with patented analytics, proven expertise, and near real-time insight into consumer behavior. By combining proprietary data from the ID Network®—one of the nation’s largest networks of cross-industry consumer behavioral data—with advanced science, ID Analytics provides in-depth visibility into identity risk and creditworthiness. Every day, many of the largest U.S. companies rely on ID Analytics to make risk-based decisions that enhance revenue, reduce fraud, drive cost savings, and protect consumers. 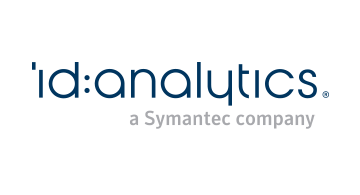 ID Analytics is a Symantec company. Visit www.idanalytics.com to learn more.